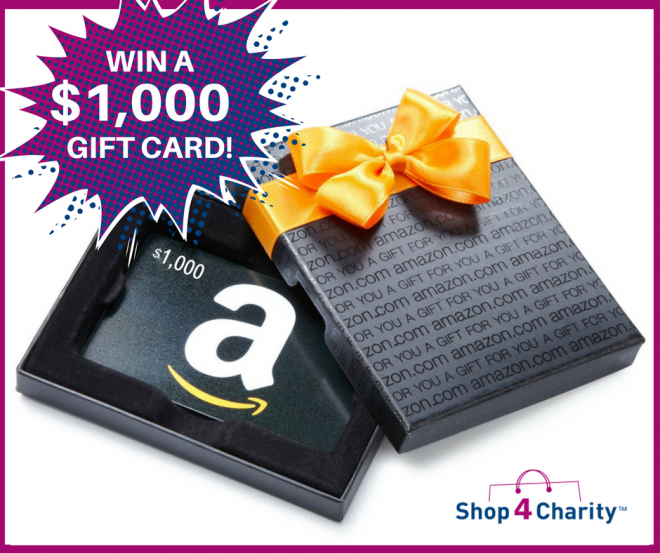 Want to WIN a $1000 Amazon Gift Card? You are here: Home > Want to WIN a $1000 Amazon Gift Card? Published on June 19, 2018 at 9:42 am . Enter for FREE by clicking the button below! No strings attached – Shop4Charity is just a community that loves to spread more heart, more hope, and more FUN. Good luck! Attention, BC: Summer Escape Deadline – Midnight, Tonight! Get a FREE $25 Gift and WIN up to $10,000!